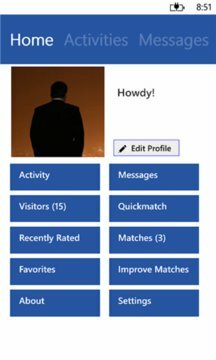 okcupid is the best unofficial windows phone application for OkCupid. Notifications for messages and many bug fixes. view and answer profile questions. 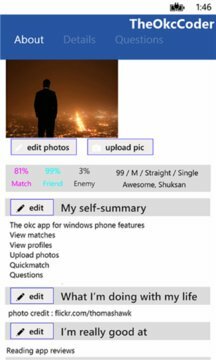 okc lite application nor the application developer is affiliated, associated or officially connected with any of the content providers listed in this application. Any logos, trademarks and other intellectual property used remain the trademark of their respective owners.